We discuss the popularity of dual band portable handheld radios. We also review the TYT MD-2017 Dual Band DMR Digital Two Way Radio and announce the winners of our MD-2017 Guess The Date contest. We ponder the popularity of dual band portable amateur radios. We discuss rise of the dual band portable handheld transceiver, the increasing demand for a digital ham radio capable of dual band operation and why most business radios are still single band models. We review the new TYT MD-2017 Dual Band DMR Digital Two Way Radio. It was our biggest contest yet! This entry was posted in Two Way Radio Show Podcast on June 30, 2017 by Rick. We just received word that Kenwood is planning to launch a 2 watt version of their NX-340U16P and NX-240V16P digital two way radios. The current radios are 5 watts, 16 channels, and operate using Nexedge FDMA digital technology, or conventional analog. The new models will be the NX-340U16P2 (UHF) and NX-240V16P (VHF), and are expected to be identical to the current models other than the difference in wattage. The new radios are expected to sell for $299, which will make it a definite consideration for current TK-3400 and TK-2400 users who are looking to go digital. Is it worth the extra cost to get a digital radio? Over the past few years there has been a significant price drop in digital radios. At this point, the benefits clearly outweigh the extra cost. While there are many benefits, the improvement in audio quality alone is worth the price of admission. With analog radios, the audio quality gets worse as the radios get further apart. With digital, the audio is always crystal clear. No more static, no more choppy audio. So who is the right customer for these two new models? Based on the performance of Kenwood's current 2-watt radios, the range is sufficient for most short to mid range applications. We have customers using the TK-3400 for applications such as warehouses, manufacturing, schools, retail stores and more. When can you purchase the new models? We expect to have them in stock in mid July. This post was updated on 6/28/2017. This entry was posted in Two Way Radios, Business Radios, Kenwood on June 28, 2017 by danny. The TYT MD-2017 is here! The rollout of the first dual band DMR handheld radio from TYT is without a doubt one of the most exciting and highly anticipated events of 2017 in the world of digital two way radios. We receive numerous e-mails, messages, phone calls and comments on our blog, Facebook page and YouTube channel from DMR radio enthusiasts everywhere every day, and all of them asking that same burning question: when will the MD-2017 arrive? Well, the wait is officially over. The TYT MD-2017 is here! We received part of our shipment yesterday June 20 and some our initial pre-orders were fulfilled at that time. The rest of them arrived today June 21, and all pre-orders are leaving our warehouse today. If you pre-ordered an MD-2017, your radio is now on its way. If you haven't pre-ordered, we are pleased to announce the TYT MD-2017 Dual Band DMR Digital Two Way Radio is now available for purchase for immediate shipment while our supplies last. In addition, we now have the winner in our Two Way Radio Show TYT MD-2017 Guess the Date contest! This contest, first announced in episode #111 of the The Two Way Radio Show Podcast, asked contestants to guess when the MD-2017 would arrive at our warehouse at Buy Two Way Radios. The prize was a FREE MD-2017 radio! The runner up will receive a swag bag and a Two Way Radio Show T-Shirt. We received a very large number of entries, making this the biggest contest in the six year history of our podcast. The winners are being notified and will be announced in episode #114 of the Two Way Radio Show Podcast. If you haven't yet heard about the new MD-2017, you can get a first look at it up close in our extremely popular TYT MD-2017 unboxing video. You can hear a discussion about this brand new first-of-a-kind dual bander in episode #111 of The Two Way Radio Show Podcast. Of course, if you have any other questions about the new TYT MD-2017, available accessories or any of our other products at Buy Two Way Radios, feel free to contact us. This entry was posted in News, Tytera on June 21, 2017 by Rick. The TYT MD-2017 is one of the most eagerly awaited new radios of the year in the DMR community, and with good reason. It isn't just another digital radio. It's a dual band portable handheld DMR transceiver, the first of its kind. Many hams using DMR who are fans of the popular single band TYT MD-380 are already planning to upgrade to the new dual band model. TYT manufactures both radios, so it's only natural to wonder if a code plug for the MD-380 will also work in the MD-2017, and if not, if there is a way to convert an existing MD-380 codeplug into one the MD-2017 can use. We wondered about this as well. Sales Manager Anthony Roque from Buy Two Way Radios and the Two Way Radio Show Podcast, a ham who is active on DMR, has been working very hard with TYT for a long time now to design the MD-2017 programming software with the ability to allow our customers to take their codeplug from their MD-380 and use it in the MD-2017. FINALLY, it is done. We just received the software this morning and Anthony is currently testing it with his radios. His initial assessment? According to Anthony, "So far so good ...as of right now it can be done." Of course, he will continue testing it throughout the day for bugs, but so far, it seems to be working. If all goes well, we plan to release it this afternoon at Buy Two Way Radios and update this article with a link to the download. Update: The TYT MD-2017 software is now available! There is one caveat. The software allows the MD-380 codeplug to work in the MD-2017. However, once the codeplug is uploaded to the MD-2017, it cannot be exported from the 2017 and loaded back into the MD-380. TYT assured us the new firmware would be included with the radio when it arrives. We expect to receive the MD-2017 in our warehouse within the next two weeks. 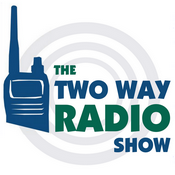 Buy Two Way Radios is an authorized dealer for TYT in the USA. Want to know more about the new TYT MD-2017? Check out our other resources! This entry was posted in News, Tytera on June 7, 2017 by Rick. We review the recent approval by the FCC to adopt the proposed reform of the Part 95 rules. We also review the Uniden GMR5095-2CKHS Two Way Radio and give you the latest update on the status of the TYT MD-2017 and MD-9600 DMR digital radios. We discuss the recent approval by the Federal Communications Commission to adopt the proposed reform of the Part 95 rules for the FRS, GMRS, CB and other personal radio services. We review some important changes to the rules, speculate on when they may take effect, and talk about the future of consumer two way radios. We review the new Uniden GMR5095-2CKHS Two Way Radios with Headsets and Charger. We give you the latest update on the status of the new TYT MD-2017 Dual Band DMR Digital Two Way Radio plus an update on the TYT MD-9600 DMR Digital Mobile Radio. Watch our new TYT MD-2017 unboxing video! This entry was posted in Two Way Radio Show Podcast on June 2, 2017 by Rick.